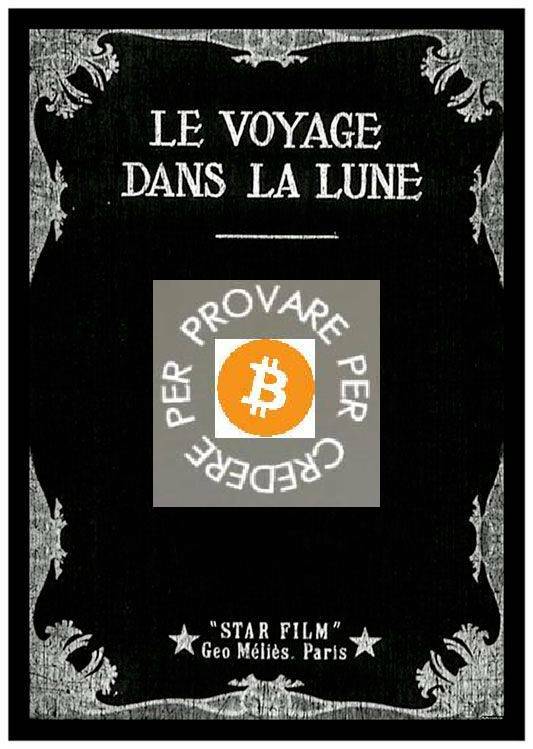 Insomma sono statistiche puramente "quantitative"
ma lascio a voi contestualizzarle. The S&P 500 is currently trading above 1,850 and is now on pace to close at a new bull market high for the first time since mid-January. For the purposes of this analysis, we consider a bull market to be any period where the S&P 500 gains 20% or more (on a closing basis) without a decline of 20% in between. 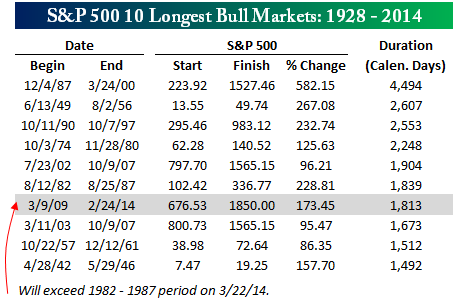 In terms of duration, the current bull market still ranks at number seven on the list. With today's new high, though, it is now less than a month away from taking out the 1982 - 1987 period as the sixth longest of all time. If the S&P 500 can hit a new high any time after 3/22, the next target will be the bull market of 2002 through 2007. In order to surpass that period and move into 5th place, the S&P 500 has to continue rallying through Memorial Day on 5/26. 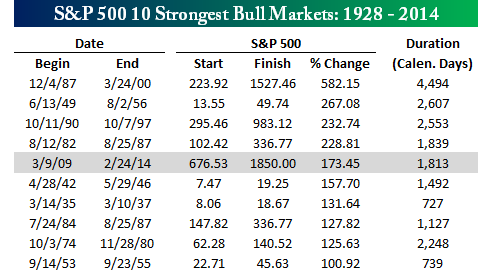 While the bull market has already been impressive, moving into the top spot for longest bull markets on record is still a ways off. In fact, the S&P 500 would have to go another 7+ years to 6/28/2021 in order to overtake the 1987-2000 bull market as the longest ever. 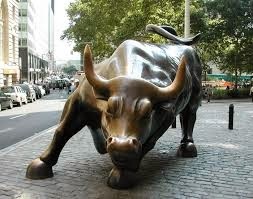 The current bull market may only rank at seven in terms of duration, but it is already at number five on the list of ten strongest bull markets. Looking at the list, it could be some time before we crack the top four. In order to crack the 228.81% threshold to move into the top four, the S&P would have to rally another 20% to about 2,225. Finally, before setting your sights on the title of strongest bull market on record, keep in mind that in order to overtake the 1987-2000 bull market, the S&P 500 would need to rally an additional 150% to 4,620.